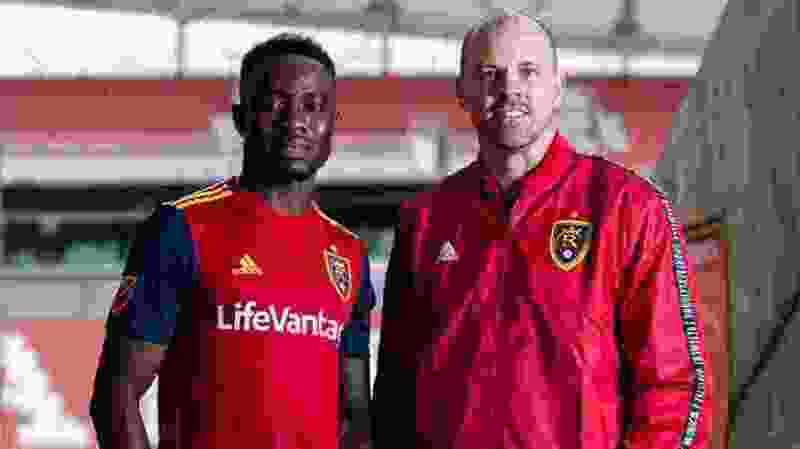 (courtesy of Real Salt Lake) RSL announces the signing of Liberian forward Sam Johnson, shown here with general manager Craig Waibel. It looks like Real Salt Lake has its true striker. The club on Monday announced the signing of Liberian forward Sam Johnson to a designated player contract. Johnson comes as a transfer from Valerenga, which is Norway’s first division. Johnson led Valerenga in scoring last year with 11 goals in 21 matches. He has played for clubs in his native Liberia, Sweden and China. In all, Johnson has scored 66 goals in 162 league matches since 2011 and 69 goals in 180 appearances across all competitions. The organization has been searching for a striker since the departures of Yura Movsisyan and Alfredo Ortuño last season. There were a few linked to RSL during the offseason, including Germán Cano. The addition of Johnson could help with RSL’s lack of scoring last season. The team ranked 10th in Major League Soccer with 55 goals.